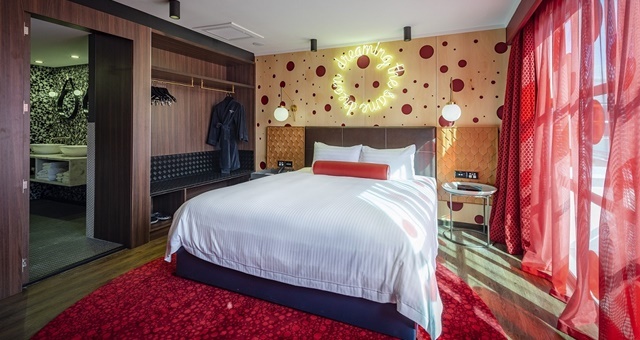 Naumi hotels feature designer suites similar to this at Naumi Auckland Airport. Private Singapore-based hotel brand Naumi Hotels has expanded its New Zealand operations to the other end of the North Island, announcing it has purchased two properties in Wellington. Formerly the Comfort Hotel Wellington and Quality Hotel Wellington, the acquisition transactions will close early next week ahead of an extensive renovation and rebranding project. Once complete, the rebranded properties will add 177 rooms and suites to the Naumi portfolio in New Zealand, on top of the 193 rooms already open at the Naumi Auckland Airport. Remaining open as ‘C Hotel’ and ‘Q Hotel’ respectively, the two hotels will be transformed into Naumi Heritage Wellington, opening in Q2 2019, and Naumi Suites Wellington, open in Q4 of the same year. The acquisition was brokered by Colliers International. Located next door to each other, Naumi Heritage will occupy a heritage building which dates back over 100 years to 1916. Design firm Material Creative – the same company which designed and fitted out Naumi Auckland Airport – has been appointed to oversee the Wellington project and tasked with envisaging a “romantic Edwardian age” concept. Naumi Hotels CEO Australia & New Zealand, Gaurang Jhunjhnuwala said the new acquisitions were in line with the company’s strategy to develop a strong foothold in the New Zealand market.